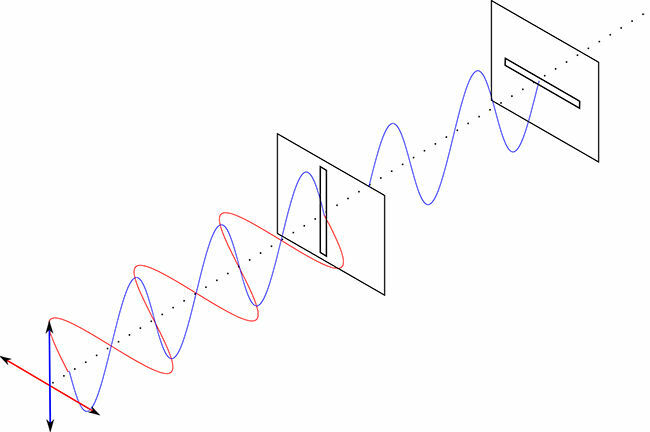 Digit Geek > Recent Articles > Science > Is light bending possible? Does one of the fundamental truths of physics – the rectilinear motion of light – have certain exceptions? Irrespective of how far ahead we progress with new advancements in technology and science, the fundamental rules of this universe will still always govern us. The laws of physics, that have remained immutable for all of time will not suddenly change just because we’ve discovered something new, or understood something we didn’t understand before, right? For instance, most us have been taught for ages that the motion of light is strictly rectilinear, i.e light always travels in a straight line. It, in fact, does not, but that doesn’t have to mean that the laws of physics themselves are flawed. It is our understanding of it that has been limited. That being said, there have been experiments that have demonstrated the bending nature of light – albeit under some very specific preconditions. Light has always been able to bend. Remember high school physics? The phenomenon of refraction shows us that when light passes through media of varying density at an angle, its angle of propagation, as well as its speed, is modified. Which is why a spoon dipped into a glass of water appears to bend at its surface. Additionally, out in space, light bends around objects of massive gravitational pulls. In both cases, there’s an external factor involved – the refractive index of media in the first, the gravitational pull of massive objects in the second. What we are looking for, however, is the demonstration of light bending by itself. In the year 1979, physicists Michael Berry at the University of Bristol in the United Kingdom, and Nandor Balazs of the State University of New York, Stony Brook discovered that the Schrodinger equation, which is essentially force free and hence appropriate for finding a solution to self-bending light, does give solutions in the form of nonspreading “Airy” wave packets that freely accelerate even in the absence of any external potential. These are rays of light that, instead of diffracting over long distances, could bend, or rather accelerate sideways. Fast forward to 2007, Demetrios Christodoulides and other physicists at the University of Central Florida were able to generate optical versions of this Airy waveform. To do so, they had to manipulate laser light and the resultant waveform showed a slight curve as it passed through a detector. This was light that could bend on its own. To explain this, you have to remember that light is a wave, and like every wave, it comes with peaks and troughs. In actual application though, light is more like a jumble of waves, and as a result, it is very likely for these peaks and troughs to interfere with one another. When the opposites interfere they cancel each other out. However, peaks interfere constructively leading to brighter spots. Now, visualise a wide strip of light as a source – something like an incandescent tube but as a laser. Now, by controlling the initial points of the emerging waveforms along the strip, it is possible to make the waves interfere constructively in a way that they appear to form a curve and cancel out at all points that are not on the curve. This effectively is an optical illusion and can only bend light up to 8 degrees. However, in 2012, a group of physicists at Israel Institute of Technology, in Haifa claimed to have a theory that could effectively lead to bending light at any angle, even in a circle. To overcome the 8 degrees limit, the group looked into Maxwell’s equations, solving it for truly bending light. Around the same time, an unrelated group of physicists at the University of Franche-Comté in Besançon, France performed experiments that corresponded with the results of the group from Israel, demonstrating light that ‘bends’ up to 60 degrees. We need to take a pause from learning about light bending experiments at this point. Ask yourself, why does light actually need to bend? Who would benefit from that? For starters, it could lead to the development of light sources which could make light bend around obstacles, allowing the illumination of hard to reach places. This phenomenon, when applied to high-intensity lasers, can allow the creation of curved pathways through materials. Creation of complex pathways using positive interference of troughs can also help bioengineers. They could use this to extract cells precisely from biological samples without damaging the rest of the sample. Essentially, the practical uses of a light being able to turn, and even ‘boomerang’ back to the source, could be many. However, the experiments that we’ve discussed so far do not violate any laws of physics. They’re, as mentioned, optical illusions where most of the energy of the light source is actually lost in the portions where the waveforms cancel each other out. But all hope is not lost when it comes to the quest of light bending. 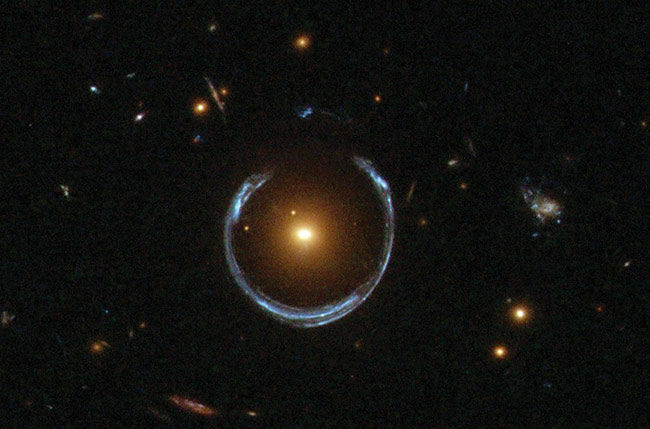 A Horseshoe Einstein Ring from Hubble – gravitational lensing in action. Earlier this year, in a paper published on July 30, 2018, a team of physicists have explained how they’ve been able to tie laser beams into knots. Not your simple, one loop knots but even figure eight and toroidal knots – what you would typically associate with your shoelaces or ropes on a boat. They were able to achieve this by manipulating the polarisation of individual laser beams. By definition, a knot is any mathematical shape that loops around itself in space in certain ways. The components of a light beam, as explained earlier, move in complex ways – up, down and sideways. Polarisation allows light to be filtered in such a way that only waves with a certain orientation can pass through. This technology is not too different than what is found in polarised sunglasses. In this case, holograms were used to shape the beam of light by controlling its intensity and phase profile. Using this the researchers were able to create ‘polarisation singularities’. First described by physicist John Nye in 1983, these are places where the light waves interact in such a way that the wavelengths of the up-down and sideways components were exactly the same – effectively making the oscillation of a photon to become circular. This allowed the light from surrounding waves to bend around them in ways that the researchers wanted. The knotting was distinctive enough for the observation of particular shapes like Hopf links, trefoil knots, cinquefoil knots and figure-8 knots. The research group is mainly interested in something known as Seifert surface – the space between the knots formed in this structure – which they studied in great detail using a method known as seifertometry. In their investigation, the Seifert surfaces turned out to have a larger number of holes than what mathematics accounted for. What this means is that the knots formed have larger gaps in between them than what was predicted, or even demonstrated, ever before. The physicists have theorised that this knotting effect, along with the ability to study the Seifert surface can be replicated in more common conditions and devices used to produce polarisation singularities – making it practical for real-world applications.